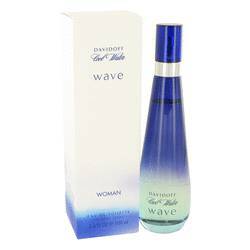 Cool Water Wave Perfume by Davidoff, Cool water wave by davidoff launched in 2007 is classified as a fresh,feminine flowery sensual fragrance. With notes of watermelon,mango,guava,freesia,peony,pink peppercorn,sandalwood,iris wood and musk. It is recommended for any occasion.